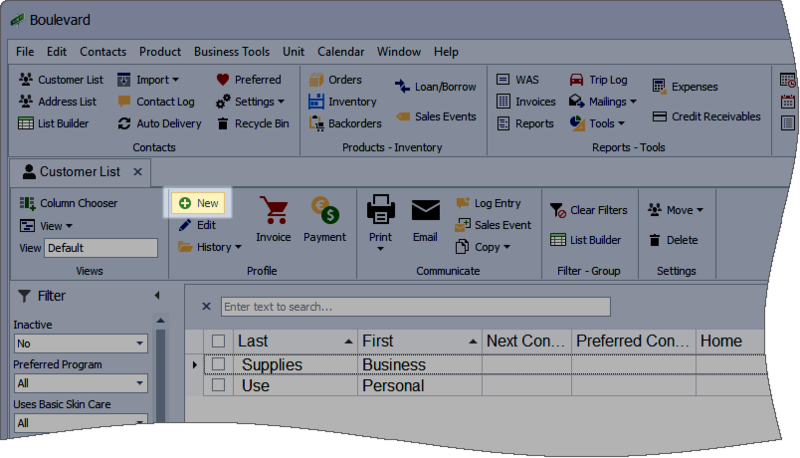 From the Customer list, click (or from the Shortcut form, select Create New Customer). When finished entering information click to save and close the newly created profile. For more information about the various fields on the profile, see the Profile section.